Does Your Home "Appeel" to the MOST Potential Buyers? YOUR HOME IS YOUR BIGGEST ASSET: Don't leave money on the table! Have you ever heard the old adage, 'a house is like a banana'? It's true! People shop and buy bananas every day, just like homes. What you may not realize is that a banana can easily stand out among the bunches of plain bananas PLUS have greater buyer APPEEL when you add in a few essential toppings to create an inviting and enticing banana split. 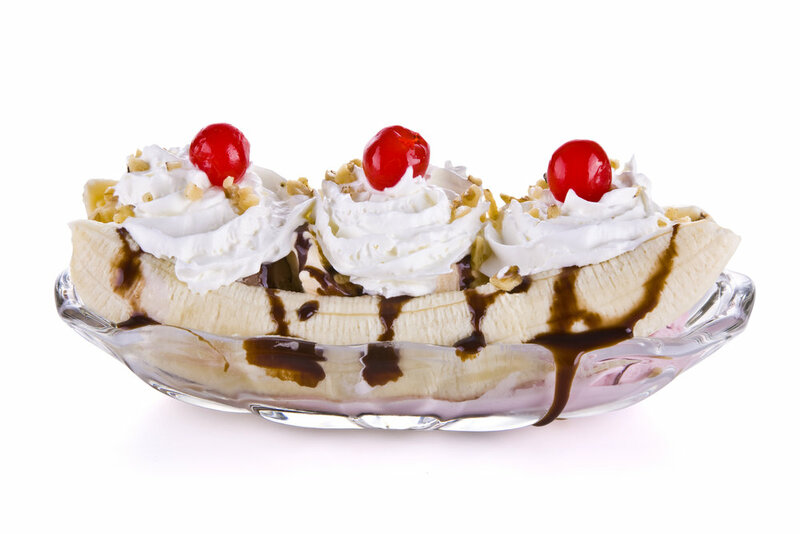 RAISE THE VALUE: A banana split costs more then a plain banana AND has a higher perceived value then a plain banana. People don't hesitate buying a banana split because of the higher price. People are willing to pay MORE for an amazing dessert. Just like a house! When a house is properly staged, there is a perceived difference in the value of the house. Potential buyers are willing to pay MORE for a house that feels like home. Because let's face it, toppings make everything better! SPEND MONEY TO MAKE MONEY: Yes, you'll need to spend some money to buy the toppings to create a banana split. However, an investment in those toppings is essential and more than pay for themselves. DON'T SKIMP ON THE TOPPINGS: In today’s housing market, your home needs to make a great first impression to ensure a fast sale. Front&Center Home Staging can help add in those key toppings to make your home shine in the resale market. Don’t let your house be the plain banana! Stand out among the bunches! STAGE FIRST and bring your home to the Front&Center of buyers' attention. Are you ready to get your house sold? Don’t drop the price. Raise the value! Front&Center Home Staging will assess your home and its staging needs and then work with you and your budget to transform your house into a buyer's dream home. In today’s housing market, your home needs to make a great first impression to ensure a fast and top dollar sale. Realtors: ADD VALUE to your listing presentations by incorporating a Staging Consultation as a part of your real estate transaction. As your certified home staging expert, Front&Center Home Staging will consult with your sellers and provide guidance in preparing their home for the resale market. We'll discuss the best ways to stage the home to maximize its appeal to potential buyers. Choose from a Walk & Talk Staging Consultation, or Written Staging Report & Action Plan. Realtor Partnership Pricing available upon request. With 9 out of every 10 buyers viewing photos of homes online FIRST, it becomes critical for those photos to contain beautifully staged rooms! A partnership with Front&Center Home Staging will help your sellers prepare their home for the market and create inviting interiors that will stand out from the competition. Offering staging consultations to your sellers can help build your brand and help you stand out from other real estate agents. Both you and your seller benefit from an enhanced listing that appeals to more buyers because it leads to a quicker sale and higher price offers. Enhance your listings by partnering with Front&Center Home Staging! Contact us for more details. Need help shopping for those perfect finishing touches? Our shopping services are available for clients who have already consulted with Front&Center Home Staging and purchased a Walk & Talk Staging Consultation or a Comprehensive Staging Report. We'll help you shop for those key investment pieces and accessories to complete your space to improve your home’s first impression. It's amazing how a little color can transform a room! Reinvent your space with paint. Front&Center Home Staging has extensive experience with interior and exterior color consultations. We'll create a custom color palette for one room or create a whole home scheme that will flow from one room to the next.